ANIMAX was present at Cosplay Mania 2013 last October 5 to 6 at the SMX Convention Center. So I went around 2pm but had to wait until it was time for me to go up on the Activity Area Stage which was around 3pm. 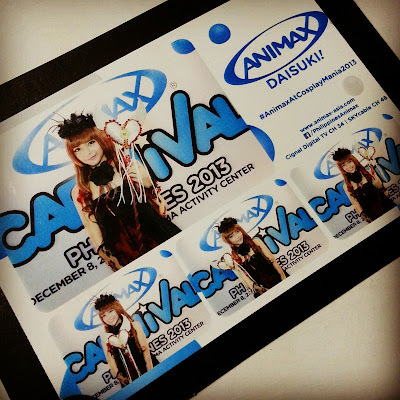 We officially announced the ANIMAX Carnival and the Cosplay Competition as well and gave away a few Animax Premiums. We also had an on the spot registration for those who were already in their favorite Hunter X Hunter, Fairy Tail and Naruto costume. Again, thank you very much to those who went in line and waited for me, to those who visited the ANIMAX booth and those who participated in our stage time! Special thanks to Sugarfree and Blue for my clothes at the event!